You can still see some of the same design language in the front bumper. GTFO. That’s a Lumina coupe and you know it, GM. A RWD Lumina? What’s next, a FWD Corvette? Don’t believe me? Zoom in on the badge. I swear I didn’t photoshop this. Thanks to boredalways for letting me know that this existed. 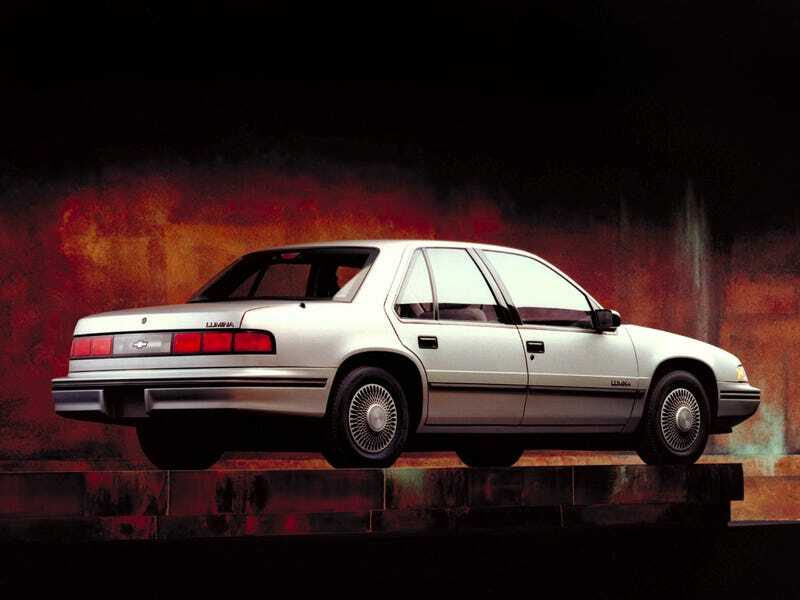 Chevrolet never could make up their mind what a Lumina was supposed to be, could they. Not even from the start.